Vincent Development Pty. Ltd. is a long term property investor and contract builder. Most of the work performed has been large industrial buildings located at Wetherill Park. Our company was introduced to Russell Steel and his company R.O Steel Roofing Pty. Ltd. in 1981. At the time we were building new premises for Stramit Industries Ltd. As you may be aware Stramit is a major supplier of metal roofing products and as a consequence the office had been designed to showcase all of the different cladding profiles and colour available, a particularly difficult job. The job required attention to detail way beyond the ordinary. Stramit insisted that the cladding of the premises had to be as perfect as possible. To this the engineering personnel I had been dealing with approached the Sales Manager and his sales staff to nominate who they felt had the capacity to perform this challenging job, to the standard required. R.O. Steel Roofing Pty. Ltd. was the recommendation. Russell and his team performed as expected and produced a spectacular result, and a quality job. The standard produced was eye opener for us, making our entire previous work look inadequate. Russell oversees his staff, sometimes tho their frustration, until the job is carried out to the standard he demands. As a property owner and contractor this is exactly what I need because I cannot afford to lose tenants or clients due to rattling and leaking roofs. STRAMIT Industries 12400 sqm Multiple cladding profile. CSR Ltd 9600 sqm 18 m high, smoke curtains, heat vent. Mainland Dairies 3100 sqm Spectacular awning. The last four projects are very important examples of how R.O. Steel performs. Those projects had to be re-roofed as a warranty claim on BHP due to a product called Coolclad which rusted through (Coolclad was withdrawn from market several years ago). BHP permitted us to engage our own contractor. Russell carried out the work and bearing in mind each of those building was occupied with tenants, we did not have one complaint. The work was carried out safely and efficiently. 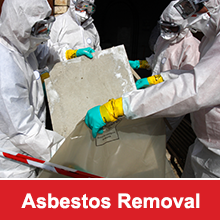 Removed roof sheets and flashings were secured to the roof prior to being craned down, the floors were swept daily, equipment covered where necessary and the waste from site was separated and recycled. For all of this work to happen without incident or inconvenience to my tenants is what counts for me. The good part about the re-roof dilemma was that all of those poor roofs built pre 1981 have gone, and are renewed with proper material by a professional roofing contractor. On a personal note I have found Russell to be extremely creative in an artistic sense. With sharp eye for aesthetics and his wealth of practical experience, on many of our projects we have consulted Russell in the design phase of the project to nut out those difficult construction details. In summary I have no hesitation in recommending R.O. Steel Roofing Pty. 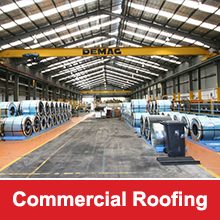 Ltd. and Russell Steel for any metal roofing, re-roofing and cladding projects. As a property owner I find it is well worth having a quality job, to provide myself with a trouble free investment. Feel free to contact me at my office or on 0418 232538.